Monday morning and my legs are tired. I didn’t realize they were tired until I walked a very short distance to my local Sbucks… I kind of missed this feeling of tired legs and I’m very happy to heavy and sluggish legs today. This feeling of tired legs is a sign that I had some fun on the weekend and pushed myself just a little bit. The satisfaction of this feeling is hard to describe but for me it is one that encapsulates some of the best aspects of life: fresh air, good friends, a healthy body, freedom to move, and a strong family. I’m lucky to have these in spades and to be able to reap the benefits of these often overlooked cornerstones of a great life. 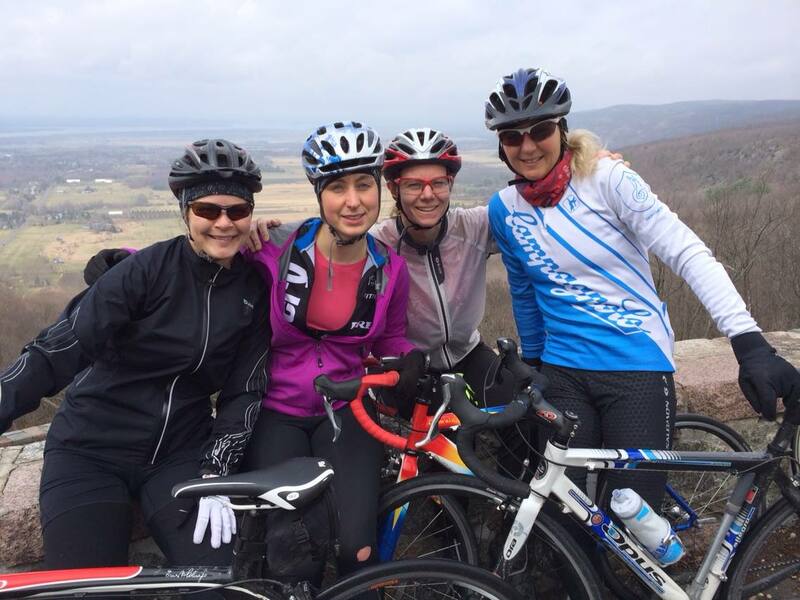 Saturday saw me riding around the Gatineau Park with a most excellent group of women. The weather was a bit ugly at the start, but we were all committed to meeting and riding so this is what we did. Strength in numbers definitely made it easier to put on the rain cape and booties on a rather damp Saturday morning. The ride was not spectacular for its distance or pace – rather it was the people. Spanning an age range from mid-20s to early-50s with a varied sporting background, we all found common satisfaction on our bikes. We pedaled and rode the hills of the Gatineau Park. We shared stories, encouraged one another, and simply had a great time out there. I haven’t ben able to do such a bike ride in a very long time – when there isn’t a “training goal” attached to the ride – instead I just rode my bike to ride it. Yes, it was just what I needed – thanks ladies for the ride! All in all, a great way to spend the weekend. There is nothing quite like playing outside and doing it with good people. I sure hope every weekend (heck every day) is like this.